What Is a 3D Graphics Card? 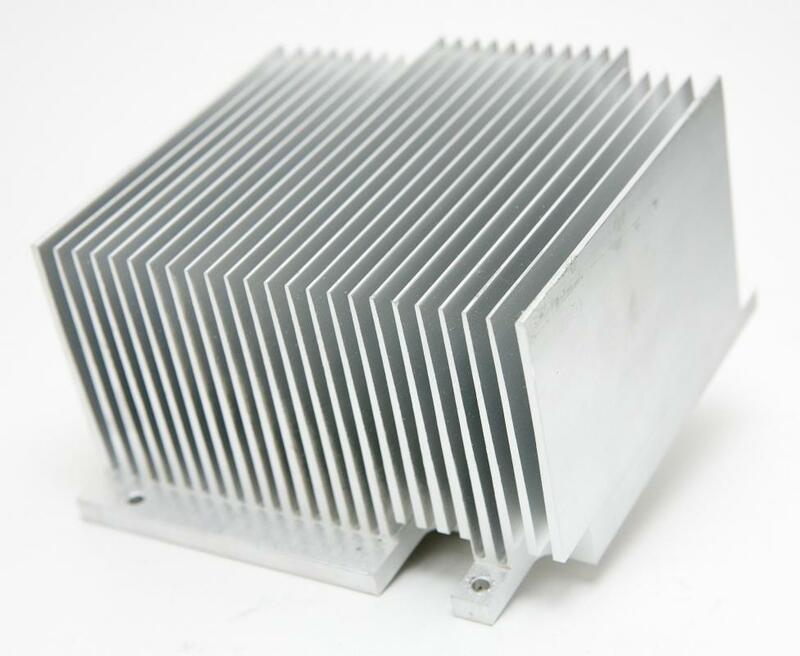 A heat sink may be used to cool a 3D graphics card. A graphics card may be used to improve gaming performance. A three-dimensional (3D) graphics card is a piece of computer hardware that can either be an actual expansion card placed in a computer or an integrated microchip that is built into the motherboard of a computer or other electronic device. In either case, the purpose of a 3D graphics card is to provide extra processing power and sometimes memory that can be dedicated exclusively to rendering 3D graphics to a monitor or other display device. The different components on a 3D graphics card include the graphics processing unit (GPU), the graphical random access memory (RAM), sometimes a separate floating point math unit (FPU) and, if the card requires it, a fan or heat sink to dissipate the heat generated during operation. When a 3D graphics card is installed in a computer or other device, the gains in speed and efficiency are not always automatic, because software must specifically interface with the card to gain the benefits it provides, although some operating systems are designed to use a 3D graphics card by default if one is present. There are many applications that use 3D graphics extensively, requiring a huge amount of calculations to be made in fractions of a second. 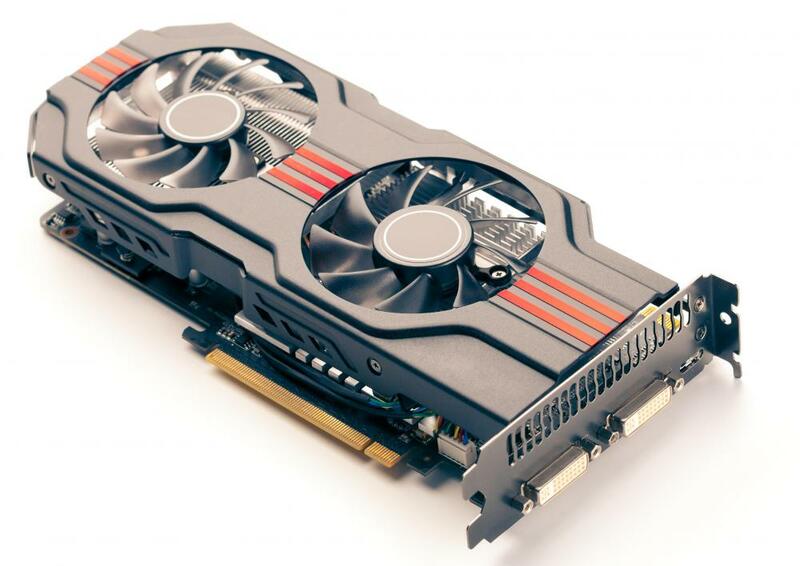 By using a 3D graphics card, these calculations can be performed by the GPU in conjunction with the graphics RAM in ways that are optimized by the manufacturers to be as fast as possible. The graphics card is performing most of the math, so the central processing unit (CPU) on the main motherboard in the computer is free to concurrently process other information as required by the application. Aside from an increase in the speed of 3D applications, a 3D graphics card also can increase the quality of images that are rendered through it. This is possible because a user can modify settings on the hardware through the graphics card’s basic input and output services (BIOS) to allow the card to override certain software instructions and perform image enhancements on its own. Most often, this can take the form of anti-aliasing that partially hides jagged pixels in an image, and advanced handling of scene geometry and lighting to provide better results than relying on the application’s instructions alone. The physical aspect of a 3D graphics card is just one of many reasons that it is able to render 3D graphics so quickly. The GPU is on the same board as the graphics RAM, so the physical pathway between the memory and the processor is incredibly small and does not need to pass through any other components, as is the case with the primary system RAM and the CPU. This means information held in the graphics RAM can be accessed at very fast speeds, making calculations and memory copies remarkably fast and efficient. What Is a 3D Benchmark? What Are the Different Types of 3D Graphics? What Is a 3D Laptop? What is a Graphics Card Test?